Dale Earnhardt Jr. has long been featured on the commercials for Nationwide Insurance which play between NASCAR race and practice sessions. Now the two are taking their relationship onto the track. On Friday it was announced that Nationwide Insurance would become a sponsor of Earnhardt Jr’s No. 88 Chevrolet in the Sprint Cup Series. The insurance company will end its sponsorship of NASCAR’s No. 2 division which is currently titled the “Nationwide Series” at the end of the 2014 season. Wedding Bells? 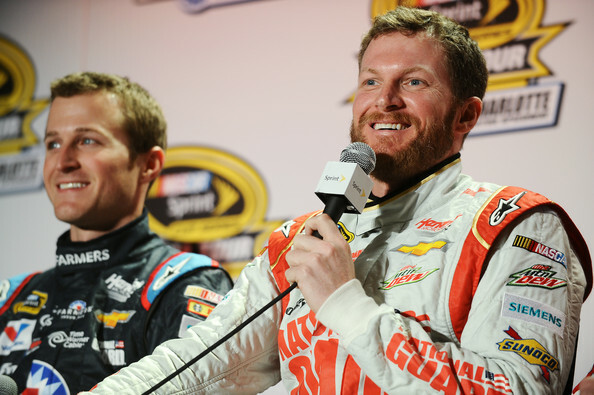 : Is Dale Jr getting married at Daytona? The 39-year-old Earnhardt won the season opening Daytona 500 and currently sits fifth in the Sprint Cup Series standings. Nationwide will be Earnhardt’s primary sponsor for 12 Sprint Cup races in 2015 and 13 events in both 2016 and 2017. It will be an associate sponsor on the No. 88 in all other Cup races over the next three seasons.